Quality Power Pop Punk Rock n Roll since 1994! DOWNLOAD ND's LATEST SONG HERE! 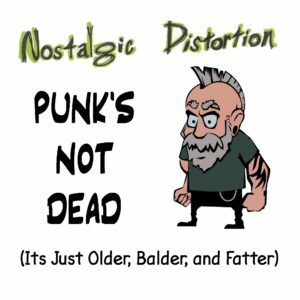 "Punk's Not Dead (It's Just Older, Balder, and Fatter)" is available as a digital download (m4a) exclusively here on NostalgicDistortion.com for only 99 cents! Download yours right now. 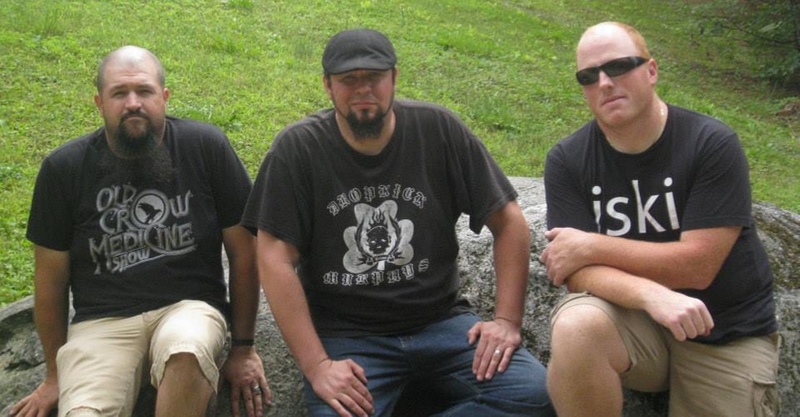 Power Pop Punk Rock n Roll from Plymouth, NH! The most fun your ears will have north of Boston! FREE MP3 downloads available now for a limited time only! The fun continues here on ND Tube! 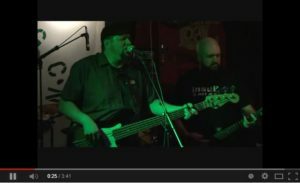 Live footage, slide shows, and streaming audio featuring your favorite Plymouth rock band! What type of music does Nostalgic Distortion play? Nostalgic Distortion defines their music as power pop punk rock n roll, but they have also been classified as alternative/indie rock or underground/garage rock. The subject matter ranges from the goofy to the serious. Nostalgic Distortion albums and shows are just plain FUN! However, the members of Nostalgic Distortion (ND) were all music majors in college and listen to everything from rock/punk/metal to country/bluegrass to funk/motown to jazz/classical. As a matter of fact - bassist Ryan Byrne is also a saxophone player, guitarist Tim Hazelton is also a trumpet player, and drummer Marc Sheehan is also versed in classical concert percussion and marching/drumline styles). So if you like any of the bands listed above, then you may also like the music of Nostalgic Distortion! Though ND's music plays nicely with the pop punk format, the typical ND show is not a punk show per se, but more generally a wide-open rock show for anybody that likes guitar-driven melodic rock styles. Not even classic country music can escape the clutches of ND, as they perform hepped up remakes of songs by artists such as Johnny Cash, Waylon Jennings, John Denver, Kitty Wells and more. To find out if you like the music of Nostalgic Distortion, simply navigate over to our "Tunes" page and check out the music for yourself! Where is Nostalgic Distortion from and where do they perform? Nostalgic Distortion formed in the small yet bustling college town of Plymouth, New Hampshire in 1994. Though based in central NH's artistic/cultural hub, ND always loved and drew inspiration heavily from the fertile rock scene of Portsmouth/southern NH and the greater Boston, Massachusetts region in general. Throughout the first ten years of their career ND performed extensively throughout NH as well as stints in the bordering New England states of Maine, Vermont, and Massachusetts. In 2004 ND went on hiatus when founder/bassist Ryan Byrne moved to Nashville, Tennessee to pursue other musical opportunities. Except for one reunion show in 2005, ND's hiatus would last for nearly a decade until October of 2013, when the band performed the first of their now annual JDRF (Juvenile Diabetes Research Foundation) benefit shows at The Lucky Dog Tavern in the band's hometown of Plymouth. Though the members of ND are actively playing in other bands, Nostalgic Distortion does still accept select performance opportunities in New England and beyond if schedules/budgets allow.